Ini budak walaupun sudah besar, masih mau main sama itu Lego.. I purchased them for Ariff, actually. But then, being a selfish sister, she usually will take and play with all of Ariff's toys. 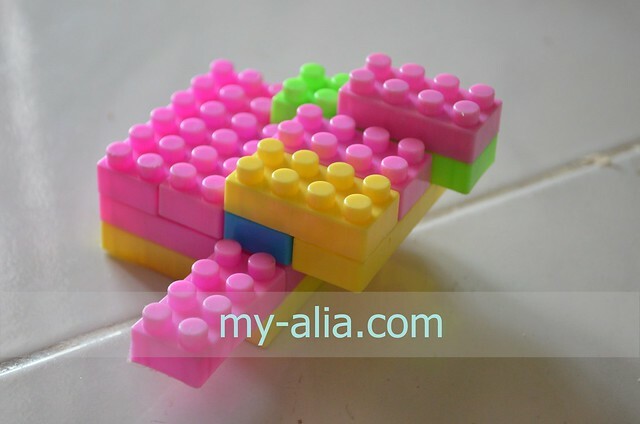 Tak pa la, at least Lego can help to boost Alia's creativity.